Despite the All-Star game shenanigans that included a selfie with Chapman, Torres, and Severino, a viral GIF of Machado looking at Gleyber Torres’ phone, and Machado’s nephew saying on live television that he’d like to see his uncle on the Yankees, Jon Heyman reported moments ago that Manny Machado is close to being traded, but not to the Bronx Bombers. 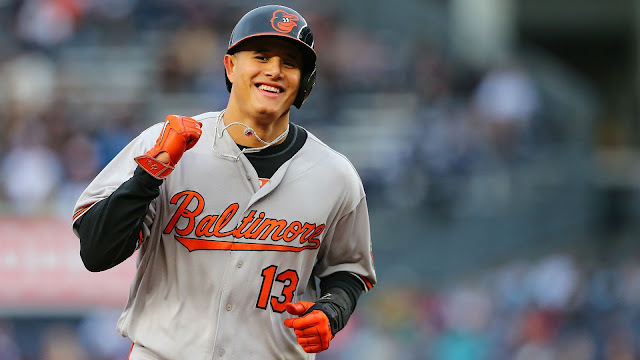 The deal is supposed to occur after tomorrow’s All-Star Game, which will likely be Machado’s last game in an Orioles uniform. The Yankees came out of the woodworks as a surprise frontrunner for Manny Machado, but after their refusal to deal a top prospect for a rental and their lack of a true need at third base or short stop, it appears their NL counterparts in the sweepstakes have taken control. After this trade occurs, the Yankees trade buzz will shift back to the starting pitcher market, a market that does not look promising as of late.